This is a guest post by Syed Ali and Philip Cohen, Contexts co-editors. A few months ago, the ASA Council asked us if we’d be interested in organizing a forum on “best practices” in ethnography in response to recent highly critical press. Council asked that this not be more critique, but rather thinking about ethnography going forward, something to spur the conversation along. We agreed that it seemed like a good idea. It was. We asked a bunch of scholars to write their takes and we published six articles in our forum, How to do ethnography right. The response we’ve received has been fantastic. It quickly became one of the most read pieces on the website. It was widely shared on social media, and a number of people said they’d use it in their methods classes. Mission accomplished. Well… not quite. There was some discontent in (where else) the twittersphere. Not a lot, but a coup le of folks pointed out that some perspectives were missing. Okay… fair enough. How could that happen? Again, we asked a bunch of people and some said yes and some said no. The yeses wrote their papers, we edited, and then published. Should we have done a call for papers? Would that have broadened the scope? Maybe. But there are only so many hours in the day, and this was work outside of the magazine. So… we didn’t. In any case, we think what’s there is great. If you haven’t read it, the links to the individual papers are below. If you have read it, feel free to read it again. Also, the latest issue of the magazine is out. 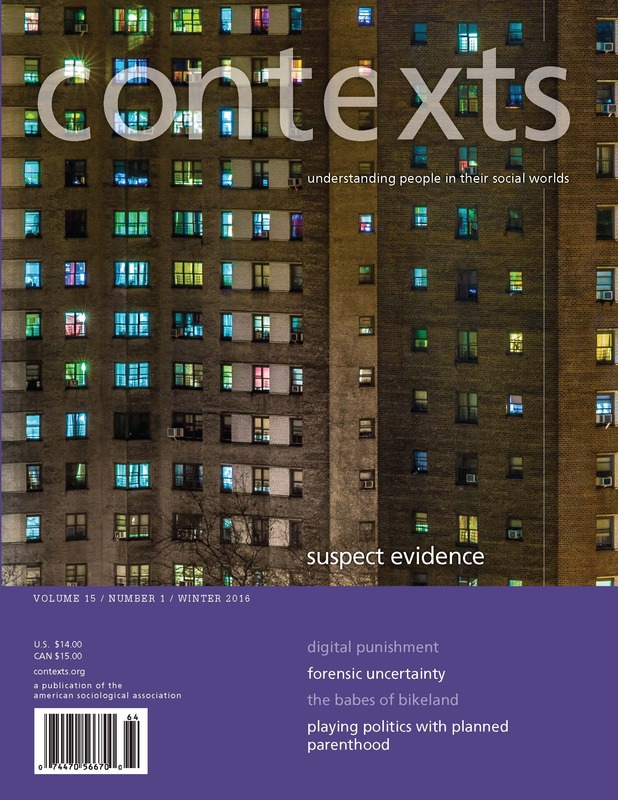 Some stuff is on contexts.org, and you can read the whole thing free (binge read?) until April 21 at ctx.sagepub.com. I was one of the scholars that asked Contexts why it neglected to include a productive, prescriptive conversation about race, privilege and reflexivity in (Sociological) Ethnography. After all, much of the recent conversation and media attention on Urban Ethnography has been around this issue; even the initial call from ASA Council for Contexts to organize this forum was “in response to highly critical press.” It is imperative that we all share and learn strategies for addressing race, privilege and reflexivity in our work. The editors claim to have asked a “bunch of scholars to write their takes” on “how to do ethnography right”—this became the title of the forum. (First off, this title is problematic as there is no right way to do ethnography, but there are many wrong ways to do ethnography.) I don’t know which scholars were asked to write about race, privilege, and reflexivity but it’s hard for me to believe that out of the dozens and dozens of us that write about this not one of us would be willing to write about this issue. (see an impartial list below of a cadre of scholars that speak well about this issue). The editors also attempt to minimize this criticism by pointing out that “not a lot, but a couple of folks pointed out that some perspectives were missing” and by mentioning that there are “only so many hours in the day, and this was work outside of the magazine.” If Contexts and ASA Council were behind an important conversation about one of the most controversial sub-fields in our discipline today (ethnography), that they should have done their due diligence to include a productive conversation about the matter that brought it to its controversy (race, poverty, reflexivity, privilege). 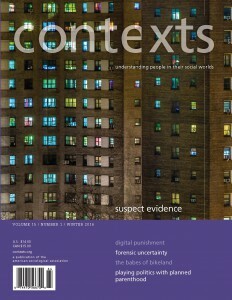 The editors also seem equate questions about race, reflexivity, and privilege with solely critique, “Council asked that this not be more critique, but rather thinking about ethnography going forward, something to spur the conversation along.” The time has come for us to stop rendering conversations about race, reflexivity, and power as illogical criticisms or counterproductive. Instead they should be included in our methodologies, in our intellectual conversations, in our hiring and admissions processes, and in our training of students. Contexts should apologize for neglecting to include an article on race, privilege, and reflexivity and commit to another forum where this matter is addressed. Forrest Stuart, Jamie Fader, Nicole Gonzalez Van Cleeve, Joo Young Lee, Jennifer Carlson, Waverly Duck, Cid Martinez, Andrea Boyles, Laurence Ralph, Lorena Gonzalez, Patricia Macias, Sandra Susan Smith, Nikki Jones, Megan Comfort, Patrick Lopez-Aguado, Jerry Flores, Scott Brooks, John Eason, Mario Luis Small, Matt Desmond.